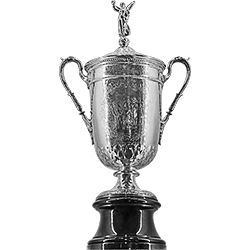 In 1894, Theodore A. Havemeyer, president of the newly formed United States Golf Association, funded the creation of a trophy for the national amateur championship winner. 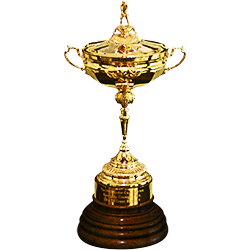 On November 22, 1925, the East Lake Clubhouse was consumed by fire and several of Bobby Jones’ trophies were lost, including the original Havemeyer Trophy. 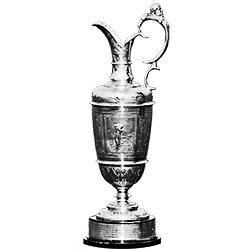 The following year, the U.S.G.A. 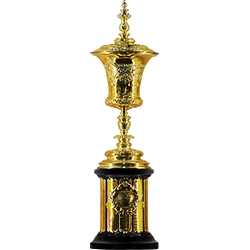 introduced a newly designed trophy that is still in use today. 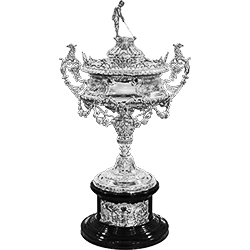 In the year 1996, Garrard, Britain’s Crown Jewelers reproduced the original 1895 trophy based on two photographs. 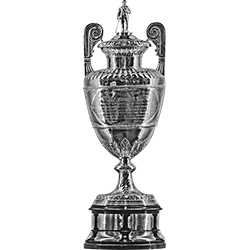 East Lake Golf Club and USGA’s Golf House in Far Hills, New Jersey house the only two replicas of the original Havemeyer Trophy.